I was watching Housewives of Atlanta last night — my Sunday night guilty pleasure. One of the scenes had the infamous and now RICH, Nene Leakes having dinner with Kandi and Kandi’s mother at Nene’s house. It was a casual setting, with the kitchen nook recessed in a suburb neighborhood of Atlanta. While I don’t even remember what the conversation was about, one thing that painfully stood out were the two bottles of store bought salad dressing. My reaction was internal but the more I thought about it, the more I was confused and made odd faces. Why? I have no idea. I could chalk it up to the expectation that if her 14 year old son is rockin’ a Louis Vuitton travel bag, and she’s struttin’ $1,000 (at least) Christian Louboutin pumps — because she’s RICH — surely a bit more refined food would seem in order and appropriate, no? Aside from a fabulous shoe collection and some prized handbags, surely, my palate will be one of the first things to change if I were rich. Fortunately, my palate is already there and so the need to be RICH isn’t a requisite to enjoy good, or least better food. Swear I’m not being snobbish, but something about $2-$3 salad dressing bottles from the store just irk me as of late. I have had some in my lifetime? Sure! Do I have some in my fridge now?? Of course. In fact, I have a a really good poppy seed dressing that I just love. But, don’t get me wrong. That bad boy is mixed with some homemade concoction to make an even better topping. With Thanksgiving just a few days away, it’s safe to say that many a salads will take up space on American tables all across the country. No matter the type, more likely than not, a dressing will be standing beside it. While yes in fact it’s super easy to grab a bottle or two or three of your favorite flavor while you’re shopping for the other ingredients, it’s just as easy to make your own dressing at home. The benefits are incredible. You’re in total control of the taste, amount, fat, caloric count, etc… and if you have to, you can adjust it. This is where my admission comes. A few weeks ago, I made this incredibly good salad (now would be appropriate to reiterate that I’m not a huge fan of salads–no matter how good the dressing is) and a homemade dressing to toss with. It was divine, really. The flavors and consistency where there– right where I like them to be. The dressing, a vinaigrette made up of two of my favorite fall scents and ingredients, paired perfectly with the salad. However, when I pulled the dressing out to have with something else this past weekend, I realized it wasn’t all I had talked it up to be! SCREEEEEECH! I did 5 minute taste test to discern what was missing seeing as though it had worked so well with salad. I figured it out… olive oil type, salt and more honey. 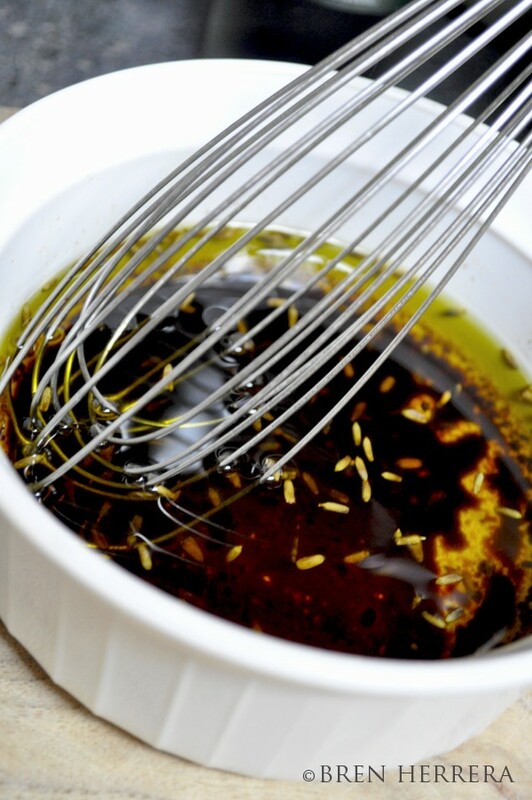 I initially used a light olive oil which isn’t as fragrant or falvorful. I switched it up this time and used extra virgin. I have plenty of 4 different varieties, but I had gone for what was a hand’s reach… I also realized that I had sacrificed a pinch of salt because the halloumi cheese sufficed in sodium levels– adding any more would have killed it. 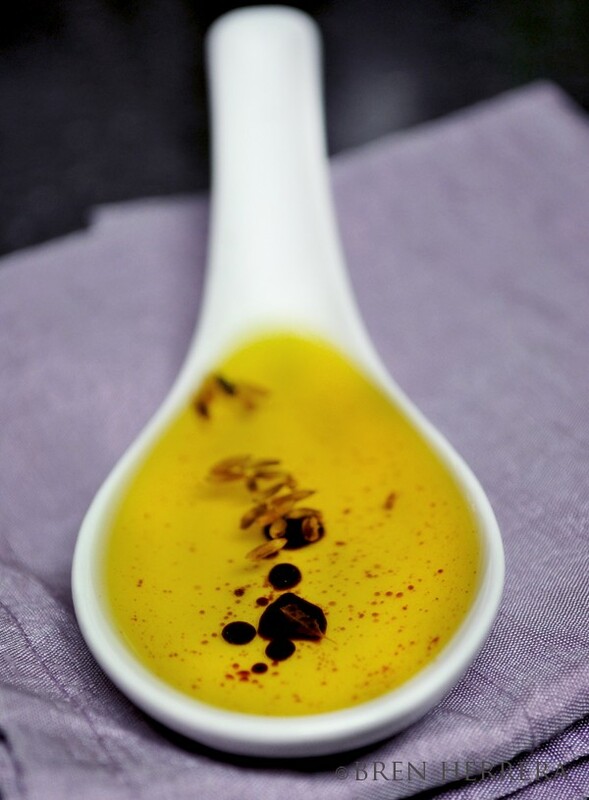 Lastly, the bitterness of the vinegars (both of which are specialty and can be purchased at boutique or gourmet shops) needed to be better balanced with a bit more sweetness, hence more honey! I stuck with the orange blossom, just added more. I went back to the salad and my modified dressing worked even better. That just means it’ll work just fine with the salads I plan I making this Thursday. I can imagine drizzling it over some blanched green beans… a squash and egg salad and a few other dishes. It’s fragrant, pretty, tasty and much lower in fat and calories than your thick and creamy alternatives which I admittedly used to love! Not diggin’ if you love those dressings, just offering up a bit of a nice homemade option that will keep for a while! And, you don’t need to be rich to make and enjoy simple deliciousness! Whisk all ingredients in medium bowl. Transfer to dressing dispenser. Refrigerate after use. That is a very original vinaigrette! Yummy Bee. I love your creations. This week, right!? Dave P: yup! will share some with you! Mami: Yo te lo hago. Como se que te gusta acietes y vinagres ev vez de dressing gruesas… este seria perfecto para todas esas ensaladas que haces! hmmm that looks good.. wish I had some of that for my salad that I have for lunch today. Dressing is easy to prepare but storebought dressings are big business. Consumers just don’t know what they are missing do they Bren:D I love the ciontrol over salt and flavour and your dressing is a stunner, worthy of any special occasion. This lavender against the black and white is breathtaking. All I can say, without gushing, is how excited I am at the blogs I am finding through Carrie’s kindness of reaching out to me and inviting me in through TikiTiki. Your blog is beautiful…just beautiful. “And, you don’t need to be rich to make and enjoy simple deliciousness,”- you got that right! Thanks Bren. And again, your photos are beautiful! I love salad and I love a good dressing – store bought or home made. Though I prefer home made. This recipe looks great and simple enough to make. And I’m certain a million times better than anything out of a bottle. Yum! Can’t wait to try it 🙂 Se ve deliciosa! I have never made my own salad dressing. And I never would have thought to add lavender! Very clever and creative! I love everything lavender, especially in the kitchen. It´s so subtle and delicate! Thanks for this recipe. Simply delicious pictures and simple recipe. I love it! I totally agree about the bottles on the table! It really does not take much to really make a dressing yours and its worth the extra effort to make a gorgeous one like in this recipe, because it will last! 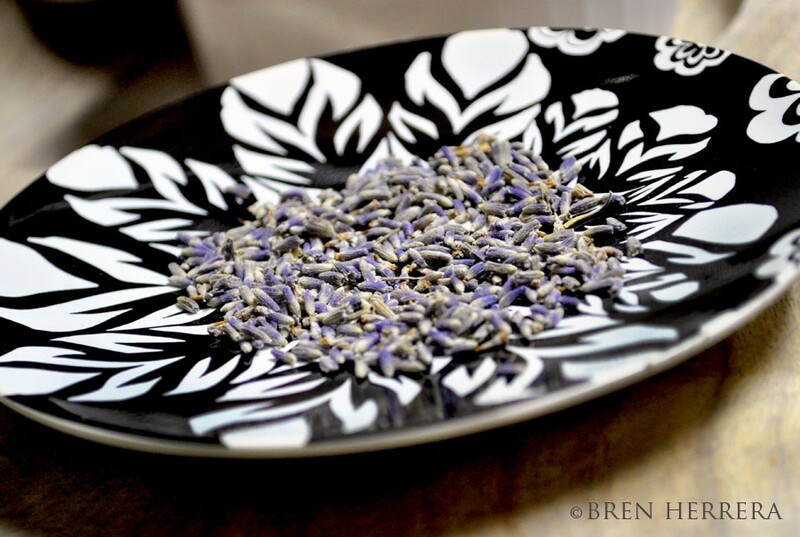 I love making my own salad dressing and love anything with lavender. Great idea! Num… what a brilliant idea… I can picture it on bitter greens right now!! Lavender is used always at home from lotions to cooking. I will definitely dry your dressing.